I was walking down the street the other day and did a search on Facebook Places. Up popped up a deal for Boyd’s Coffee: get 10 punches and get a free drink. As a potentially new customer, this was not the least bit attractive. I had no idea what their coffee tasted like. In order to get a deal, I’d have to visit at least 10 times. It may work as a retention tool, but not as an acquisition tool. A better offer for new customers would be 50 cents or a dollar off a drink. Likewise, many of the mayor offers on foursquare aren’t appealing to the casual user. As foursquare has gotten more popular, it may take visiting nearly every day to win a mayorship at popular venues. Most traditional marketing tools have focused on either acquisition or retention. Coupons (including Valpak and Groupons) get people in the door. Loyalty programs (like punch cards) entice existing customers to come back. 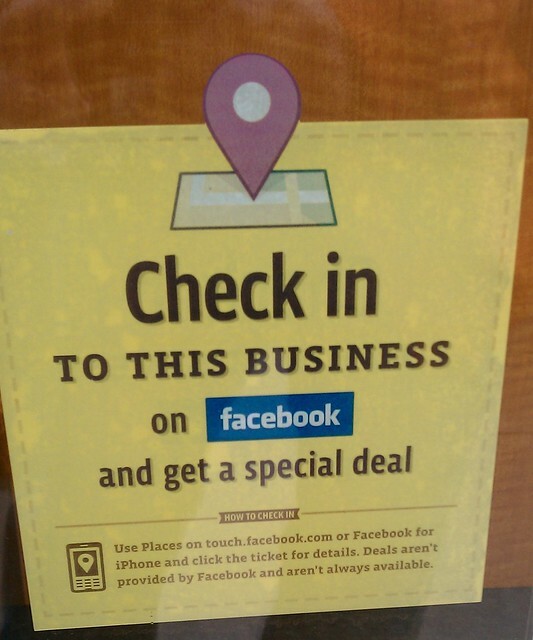 Facebook, Foursquare and the like offer the promise of doing both — if offers can be adapted for the user. As long as I haven’t checked into the venue before, I get a $1 off coffee coupon. Once I’ve redeemed that, it becomes the punch card. 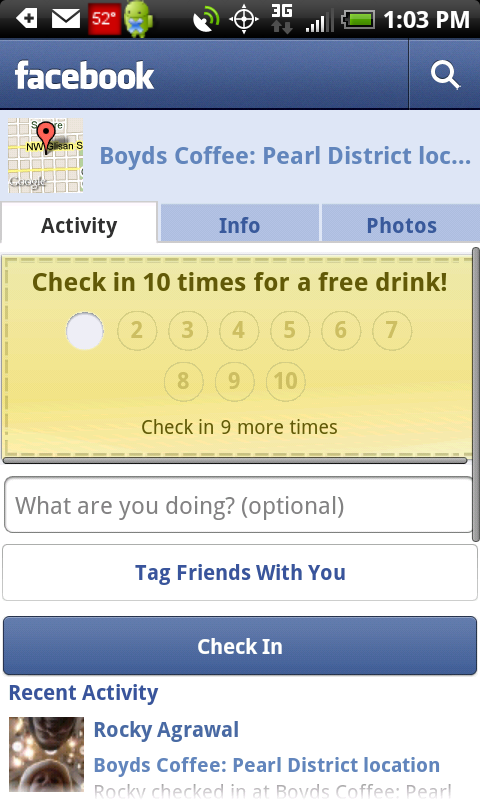 Because Facebook and foursquare use persistent identity, they are less susceptible to abuse than paper coupons. This allows merchants to make richer introductory offers if they choose: the merchant could offer a free coffee the first time. The platforms could also be adapted to support refer-a-friend promotions. For example, Tristan Walker recently tweeted about an incredible banana beignet dessert at Tamarine. I added that to my to-do list. Businesses could use these data to recognize and reward key influencers. While the existing platforms are somewhat limited, they could quickly evolve into tools that give small businesses CRM tools that the big guys have.